This bundle includes everything you need to rock Watercolour Calligraphy. 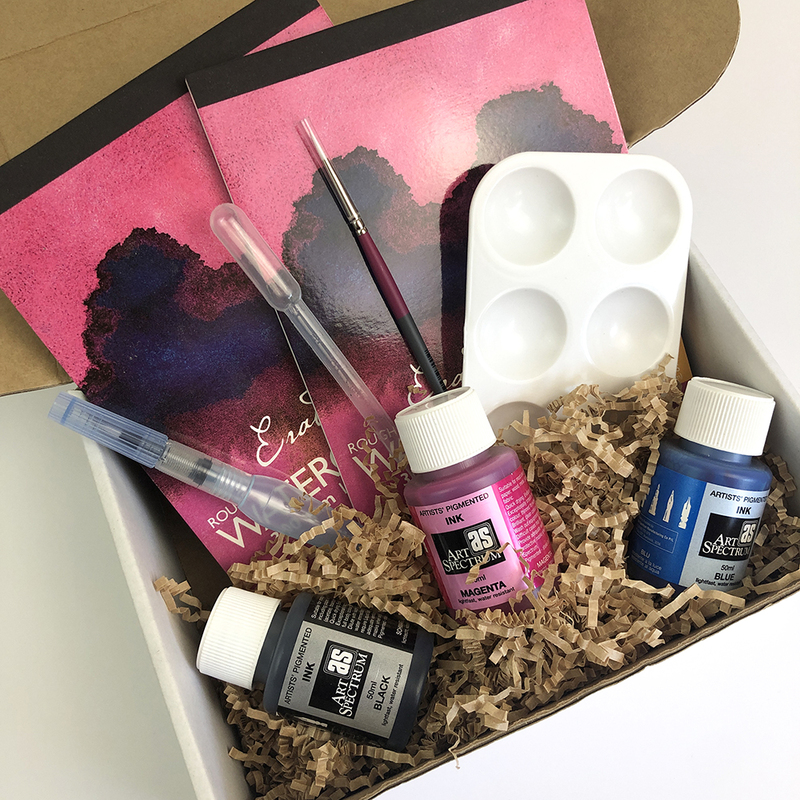 The Watercolour Calligraphy Starter Kit, valued at US$65 - a carefully curated collection of everything you need to begin learning watercolour calligraphy, delivered straight to your door. 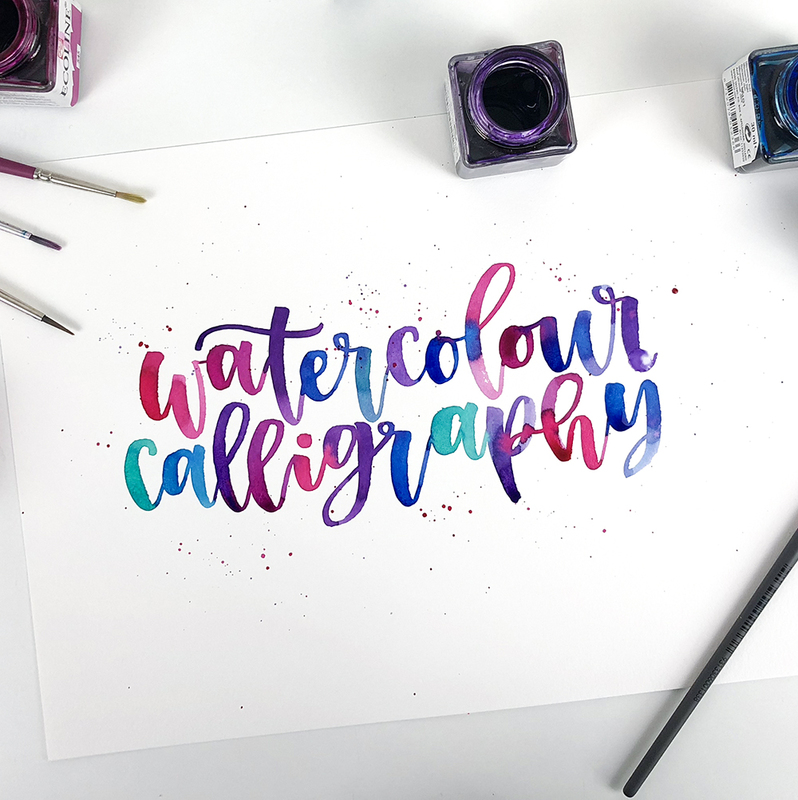 Lifetime access to Watercolour Calligraphy, valued at US$97 - the online course that covers everything you need to know from picking up your brush for the first time, to creating beautiful art. Bonus downloadable workbooks Mastering Connections, valued at US$29 - which contains every possible letter combination to help you connect even the trickiest letters, and Common Words, valued at US$29 - with multiple variations of 100 of the most commonly used words in the english language. What does the Watercolour Calligraphy course cover? 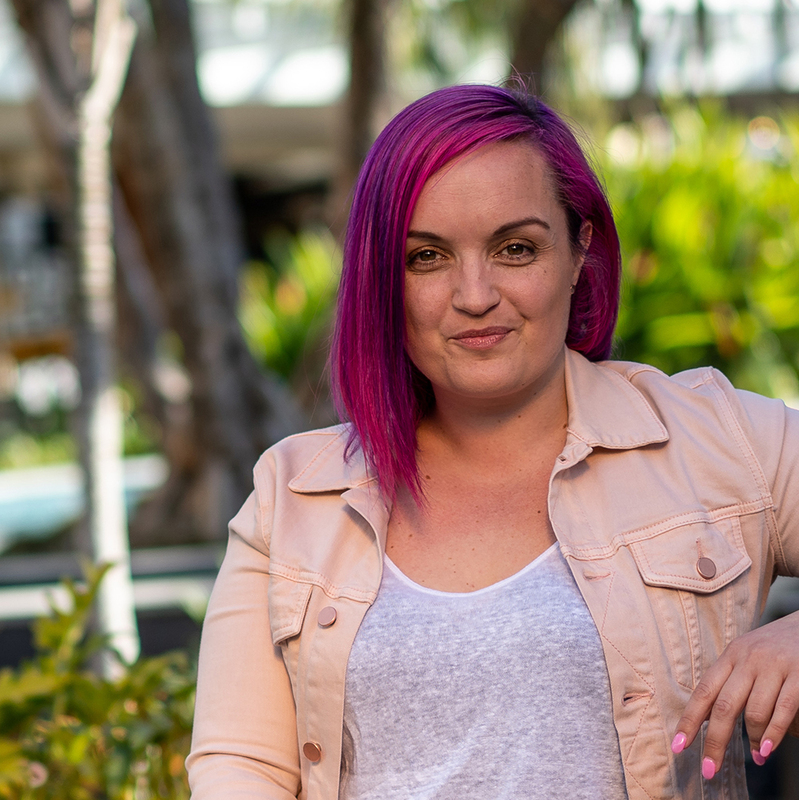 This module is all about getting you setup for creative success. 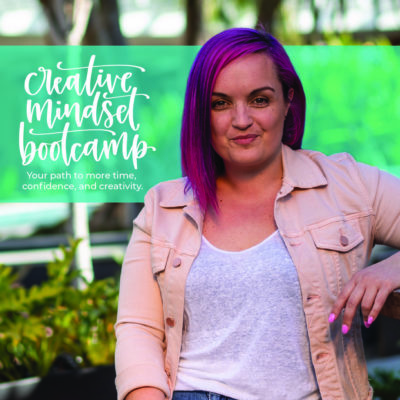 We’ll talk about mindset when it comes to embarking on new creative endeavours, why we benefit from taking time to play and create, and how to get the most out of our time together. From there, I’ll be walking you through all of my favourite tools, brushes, paper, paints, all the things! Lastly, we’ll be diving right into getting brush to paper. Starting with basic strokes that will become the foundation of the letters we’re going to create in the next module. 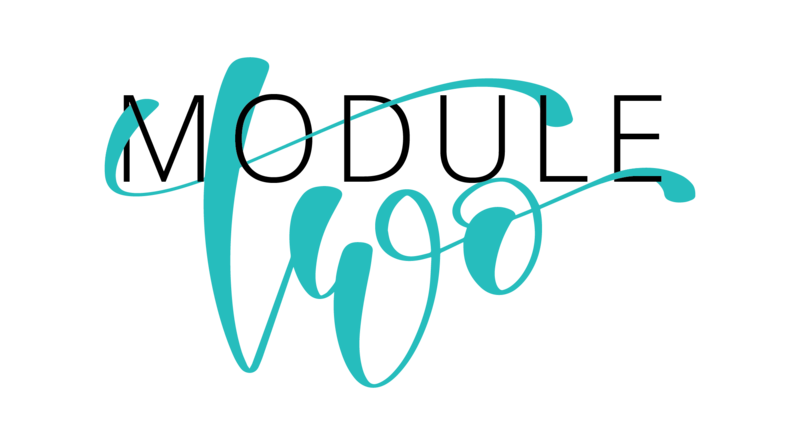 Module 2 : All the letters! 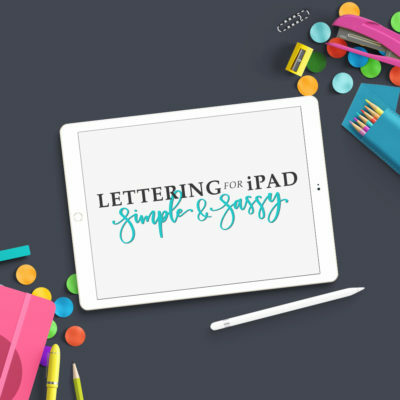 This module is where we dig deep into letter foundations. Included is a video for each letter of the alphabet, followed by one video showing numbers 0-9. There are workbooks for both upper and lowercase letters provided. Now that we’ve covered the basics, this module is about connecting letters to form words, then laying out words in lovely ways to create beautiful pieces of art. 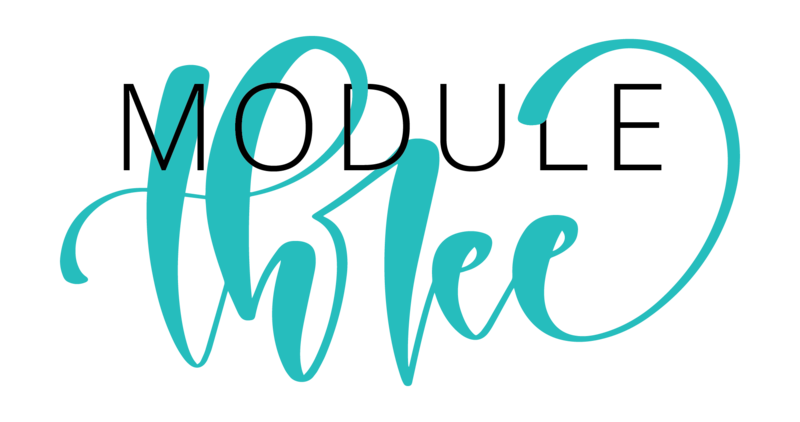 We’ll also look at letter variations that will begin to give you room to experiment and discover just how you like to letter. 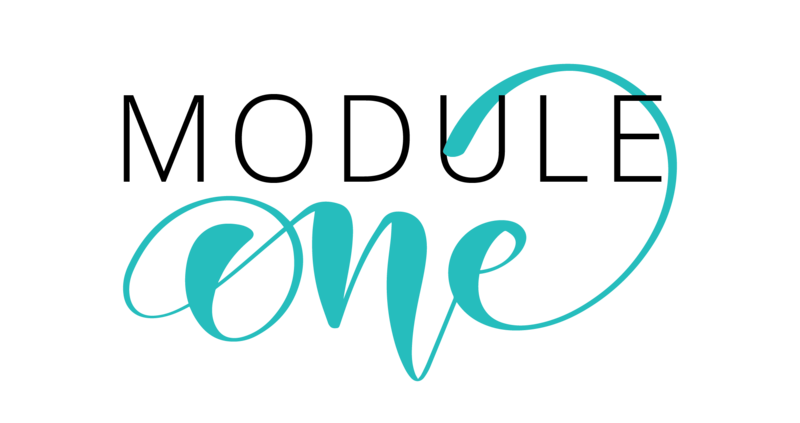 I’ll walk you through my advice for finding your own unique style, and give you resources to help you do that. In our final module we’ll cover colour theory, how to create beautiful blended effects and how to finish your work. I’ve also included an extra video in this section showing you how to use masking fluid to create inverse effects, with beautiful watercolour backgrounds. 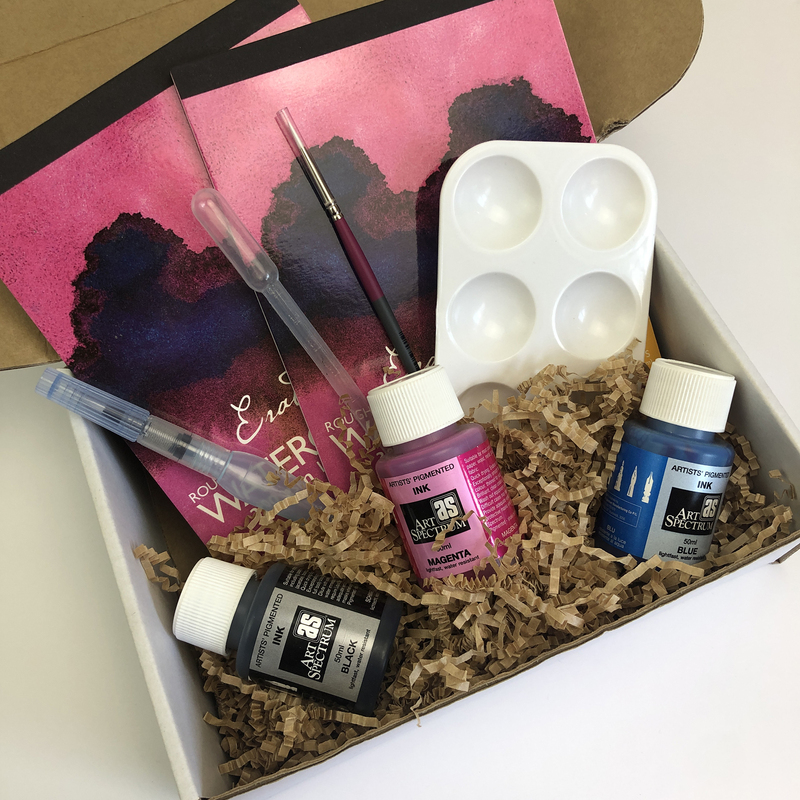 How do I get access to the Watercolour Calligraphy course? Inside your box is a code that you’ll need to use to get access to the course. Once you’ve logged in, you’ll have immediate access to four modules with videos and downloadable worksheets. I recommend practicing watercolour calligraphy on blank paper, with the worksheets used either on screen, or printed out, as a guide. In case we haven’t met before, I’m a mum to six amazing humans, and am obsessed with making beautiful things while also encouraging others to do so too. 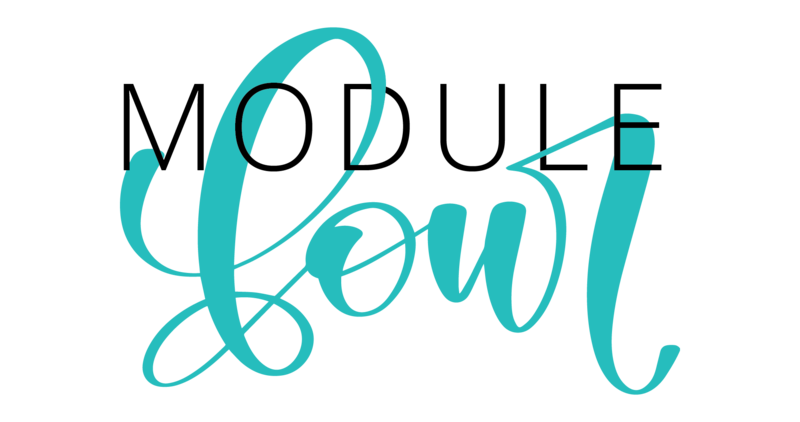 I have been obsessed with letters, and making them beautiful, for a very long time, collecting fonts instead of shoes, and making typographic posters for fun in my spare time. In 2014 I started hand-lettering, first with a brush and ink, then investing in an extensive collection of brush pens. #buyallthepens. Over time I found my groove, which inks I loved, and which I would only use under duress, which pens travelled everywhere with me, and which only got pulled out occasionally. 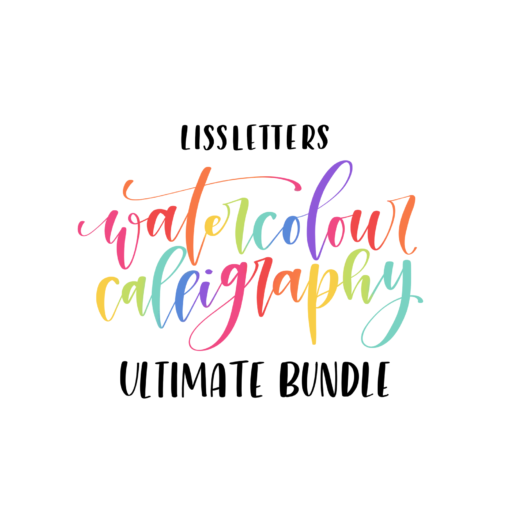 I was one of the first calligraphers on Instagram to share watercolour brush lettering and my experiments with liquid watercolours and water brushes filled with ink and dipped into other colours to create beautiful gradients. If you already follow me on Instagram, you’ll see that these days I work with my iPad a lot, but there is something incredibly beautiful about watercolours with a brush that keeps drawing me back. In this four week program, I’m going to walk you through all the basics, from the tools I love, to exploring colour and strokes. 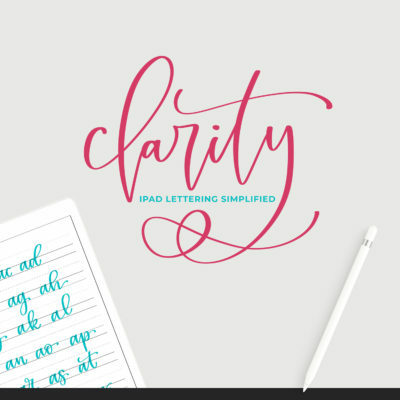 From there we’ll cover letter formation, connections, layouts and beautiful blending effects. By the time we finish, you’ll feel confident with a brush in your hand, and be well on your way to creating your own beautiful style. 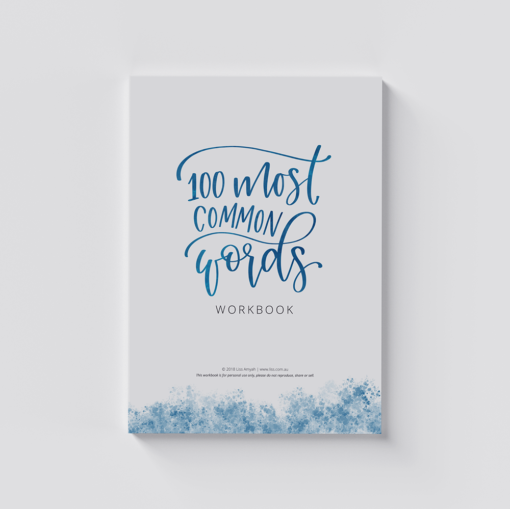 This workbook contains the 100 most commonly used words in the english language, with 2-3 variations for each word. It is delivered as PDF for you to download and print on A4 or Letter size paper. Or you can just pop it up on your screen and copy on blank paper. 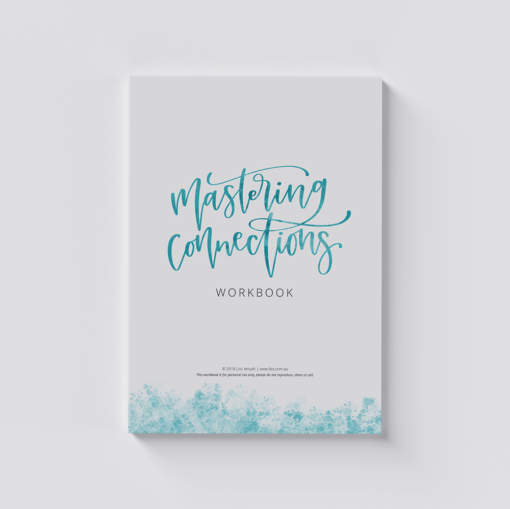 This set has a collection of worksheets to help you master every single letter connection (yep, even xg… tho I’m not sure why you would ever need that!). It is delivered as PDF for you to download and print on A4 or Letter size paper. Or you can just pop it up on your screen and copy on blank paper. This course is self-paced, meaning you can start it the moment your kit arrives and you access the online portal. Access to the course content is ongoing, you can complete it at your own place. International postage is included in the price of the starter kit. Postage times will vary based on location. Boxes will be shipped by 7th December (hopefully sooner! ), and should arrive before Christmas. I’m buying this as a gift for someone, how does that work? Access to the online course component of the kit is via a code that is included in the box itself. So as long as you enter the recipients details in the shipping section on the website, they’ll get everything they need to get started sent directly to them.